Unite has launched legal action on behalf of a group of low paid workers employed at Ministry of Defence (MoD) establishments in the Gosport area who have had their working year unilaterally cut by their employer ESS, part of the Compass Group. The mainly low paid, part-time and female staff were informed last year that their working year was to cut by two weeks (when they would be unpaid) and they were expected to sign a letter to say they have ‘volunteered’ to accept the change. The workers are employed at MoD establishments including Fort Blockhouse, Whale Island, HMS Collingwood and HMS Sultan, on outsourced contracts undertaking roles including cleaners, mess hands, and housekeepers. The workers, who objected to having their working weeks cut, were also threatened by management that if they did not agree to the change, then their working year would be cut to just 48 weeks. Despite issuing grievances and appealing against the decision, ESS went ahead and cut the working weeks of its staff, many of who are on the minimum wage, from last autumn. Since that date the workers have seen a reduction in their monthly pay and due to the fact they are working fewer weeks, ESS has also cut their holiday entitlement for one day per fortnight not worked. In response to the actions of ESS, Unite has now launched legal cases at an employment tribunal on behalf of a group of workers for an ongoing unlawful deduction of wages. Unite has been campaigning against the working week theft since ESS first proposed the change last year. This has included demonstrations, marches and the involvement of the local Labour party and community groups in a leafletting campaign in the Gosport area. Unfortunately the local Conservative MP Caroline Dineage and ESS’ paymasters the MoD, have both failed to take action and have ‘washed their hands’ of the workers plight. “ESS and the Compass group are acting like Robin Hood in reverse by stealing from the poor to give to the rich,” said Unite regional officer Bob Middleton. 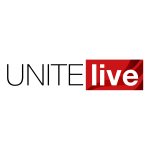 “Unite has made a commitment to these workers that we would fight this outrageous attack on their pay, industrially, politically and legally and we are fulfilling that promise.